According to Murphy’s Law, anything that can go wrong will go wrong. This law also applies in moving, where there are a whole lot of things that needs to be done. You can’t expect everything to go smoothly, especially if you are moving without assistance from professional, insured and top Sydney Removalists . Moving is already difficult for experienced movers, but with the help of professionals you may just be able to pull it off. But the law stay stands still, and what if something happened? That may just be the exact reason why you should need a mover with a moving insurance. Sure everything can happen, and your things might be damaged and broken. Having professional and top Sydney Removalists lowers the risk greatly, but still there’s a little percent that accident may and would happen. This is why Moving insurance is very important. Moving Insurance is basically the protection from unforeseen destructive forces during your moving process. If you’d think about it, there are lots of moving companies out there, but you can’t expect all to have moving insurances. If you don’t choose a moving partner wisely and ended up with a mover that has no moving insurance, you’ll be the one to suffer when your things get damaged. If you’re wondering how to get a moving insurance, the answer is plain and simple. 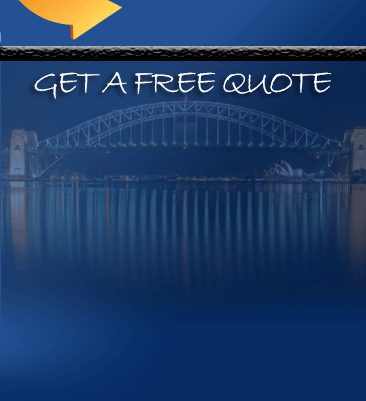 You just have to look for a professional, insured and the top removalists Sydney . You can check a moving company’s background online. 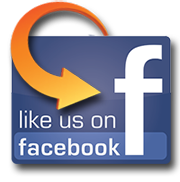 Either check their own site or look for reviews and testimonials of their past customers. You will see on the reviews if the customers have had bad experiences with the company. Getting quotes will allow you to check the rates of the movers. They might have an hourly rate or flat rate. Quotes should be free so you can have quotes from other companies as well to compare. Ask your family or friends for companies they have experienced. If they recommended you a good company, consider it as one of your choices. The best way to know if the company is professional is to visit them personally. If you were able to visit them, then you will see their facilities and equipment. As you visit the top Sydney Removalists , it is good to ask questions and proof of their insurance and their license as well. This is your responsibility and it is your right to know, so don’t hesitate when asking. Pro Removalist is one of the top Sydney Removalists with license and moving insurance. If you are looking for a company with a moving insurance that have a very affordable rate, we are the perfect choice. You can also read our Tips for Moving a Small Business, De-cluttering Methods and Benefits of Fast Movers. If you have an experience with moving you may have listed the top mistakes that you have committed to keep you from committing them again. But you might have missed a few important ones. For the beginner movers, this can also be a great help for you so that you can avoid them just before you proceed with your move with top Sydney Removalists. Whether experienced or newbie movers, these mistakes can be avoided to make moving easier and to prevent delays. So, Top Sydney Removalists is going to give you the top 5 worst mistakes that you might have forgotten to include in your list. Weeks before the move, you should already have created a plan or checklist that you will use for your move. If you don’t have a plan, you can ask help from the Top Sydney Removalists to giv e you advice, do the plan or just take some important points. Without a plan, the move can be really tough and difficult to execute smoothly and fast. The biggest impacts of moving without a plan is that it can be time-consuming due to delays, added stress, and the risk of forgetting other important tasks. This will also add up to expenses. Unplanned Packing may cause lack of time when packing, delays and more stress and more expenses. You may think that packing is easy, but until you are already in that process, you will immediately regret not including the packing process in your plans. Also, unplanned packing may result to rushed packing and makes the packing poor quality that may risk your things and valuables from getting damaged. If you are looking for help, be sure to hire one of the top Sydney Removalists . If you hired unprofessional movers then you may become a victim of scam. Unprofessional Movers do not care about the way the move goes as long as they get paid, compared to professional movers who will do their best just to be able to provide quality move. Another Mistake that is commonly committed is thinking that movers can do the move on their own without asking for help from professionals. This can actually cause more problems, delays and injures especially if you have no knowledge about moving. Poor quality packing leads to a more difficult unpacking process. When packing you should put a label on your packages as it will be a big help. The label will inform the movers to where the packages should be placed and what its contents are. If they know the contents, then they can move the boxes with extra care. After all the processes of moving, you have finally arrived on the moving day. We know that you are tired and stressed, but there are still things that you shouldn’t forget before you leave your old home. If you hired the Top Sydney Removalists , then you just saved yourself from a lot of trouble, but don’t be too careless, since you will still have a lot of things to do. Pro Removalists Sydney is one of the leading moving companies that provides quality moving services and we also provide moving supplies. After a move, you will surely be stressed that you might forget a few important things during your move. Be early and check your things. Don’t forget to double check your things so that you can see if you have forgotten anything. Confirm the schedule once more and make sure that everything is going according to your moving poplans. Call your family and tell them that it’s the day of your move and you should also ask them for help I f you need, like for taking care of your children. Before you leave your old home, make sure to check if there are no plugged in electronics or if the water is turned off. Even if you are not staying in your old house anymore, it would be great to leave it clean and organized for the next owner. Before the movers arrive, check and separate the things that they’ll bring and the things that you’ll keep with you during the travel. You should have prepared the most important things that you will need and keep them with you during trtavel, you should also take valuables and documents to keep them safe. Since the furniture and appliances are to be moved by the movers, make sure that they are properly wrapped and covered well for better safety and protection. You should also check if there are any damages in the furniture and appliances so that you wouldn’t blame the movers if there are damages that you didn’t notice. You can also read our other articles about Why Cheap Movers are the Better Movers, Considerations when Moving a Business and Piano Moving. Also, if you didn’t pack your things safely, chances are they might get damaged during the move. 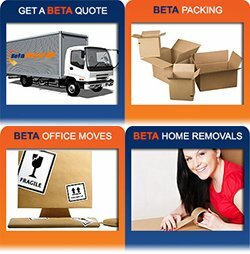 The top Sydney Removalists can help you with your move, making it easy, fast and also cheap. Contact us now at 0432 330 860.